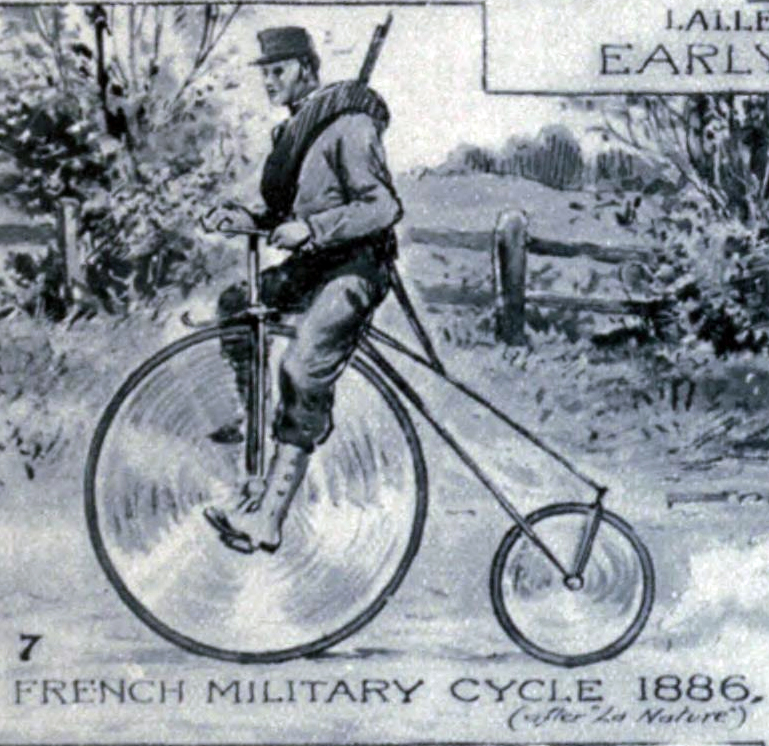 The introduction of the military cyclist appears to date from 1875. Italy first employed them during manoeuvres of that year for carrying messages. 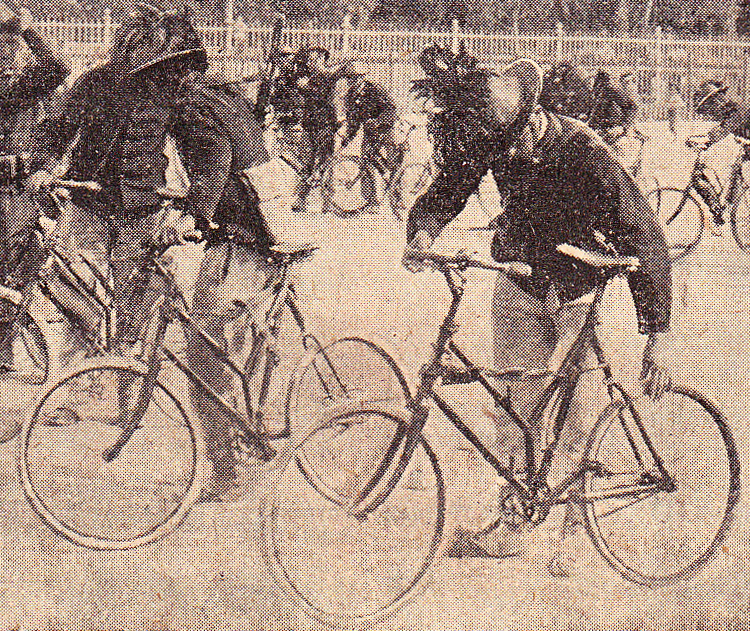 Ten years later, in 1885, armed cyclists were employed by Colonel Tamplin as scouts during the Easter Manoeuvres in England. 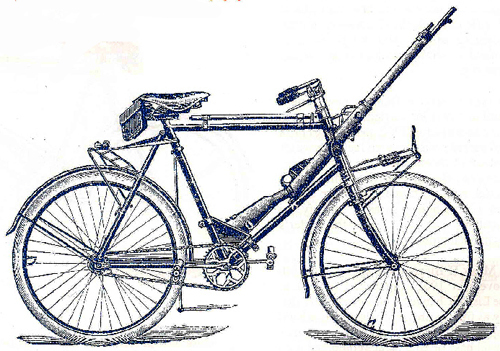 There were two types of military bicycle: the roadster and the folding bicycle. 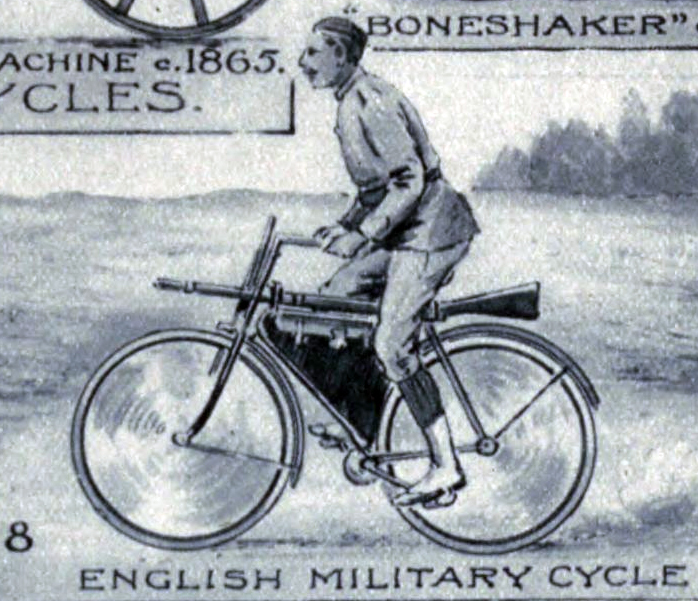 Armies experimented with bicycles from the earliest era, but they were not generally accepted until cycle design had evolved sufficiently to produce a robust machine capable of withstanding typical military use. 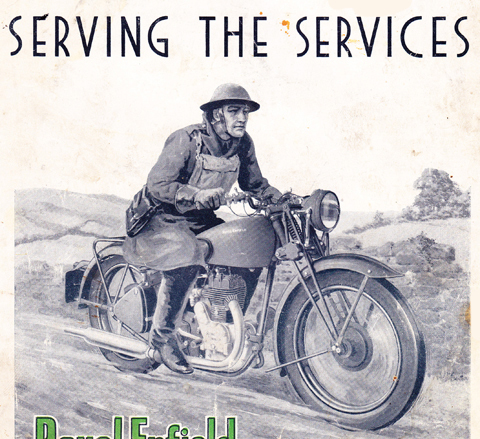 Roadsters were ideal for dispatch riders. 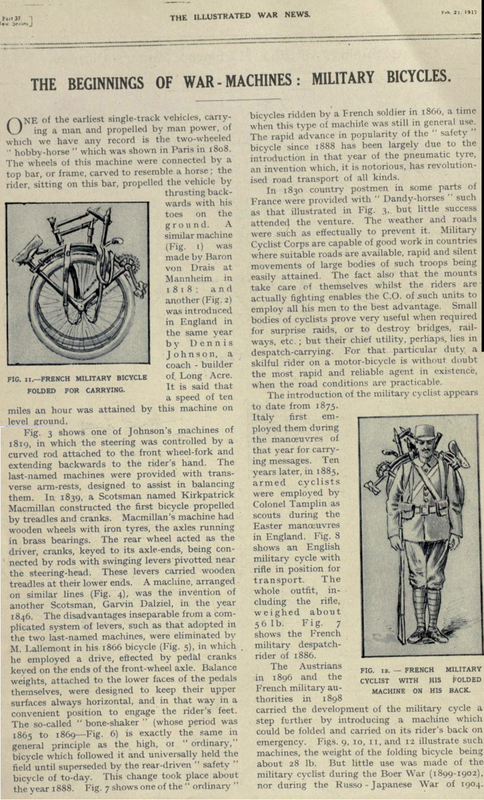 Folding bikes were used first by Italian and French armies, and the Faun design, patented in 1896, was used by various British manufacturers, culminating in BSA’s well-known WW1 Folding Bicycle. 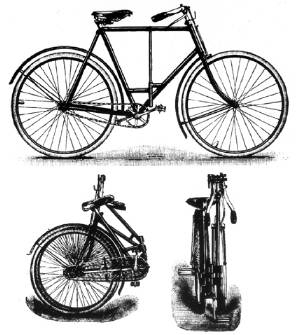 The roadster bicycle was officially introduced into British service in the List of Changes in 1901 as ‘Bicycle (Mark I) High. Medium. 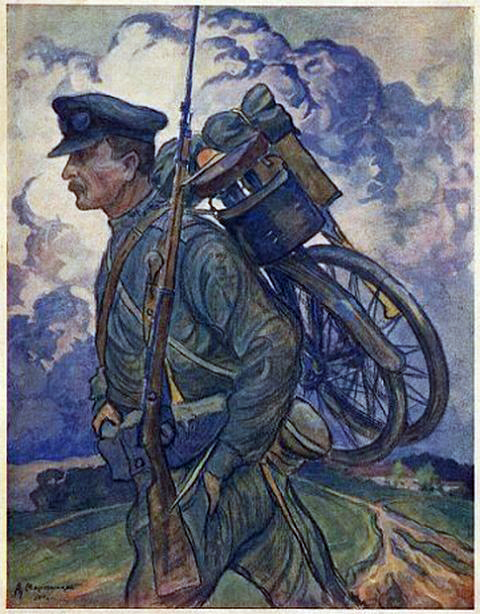 Low.’ The description reads: ‘General Service, with bell, lamp, pump and pump clips (2), cycle rest complete with brake strap and back stay clip, front and rear kit carrier with 1 loose and 2 fixed straps on each, saddle, rifle clips (2), and tool bag containing oil can, outfit, spanners (3), and bottle oil, M.L.M. 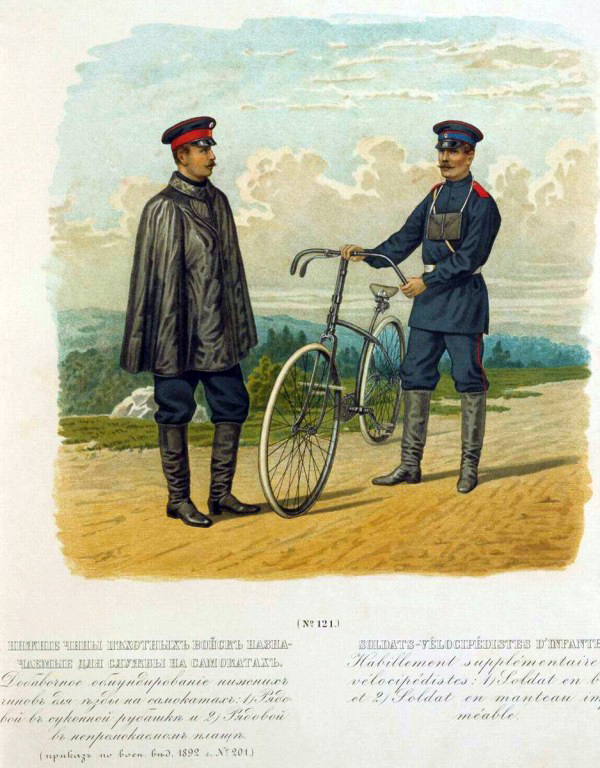 (Mark III).’ It is illustrated below. 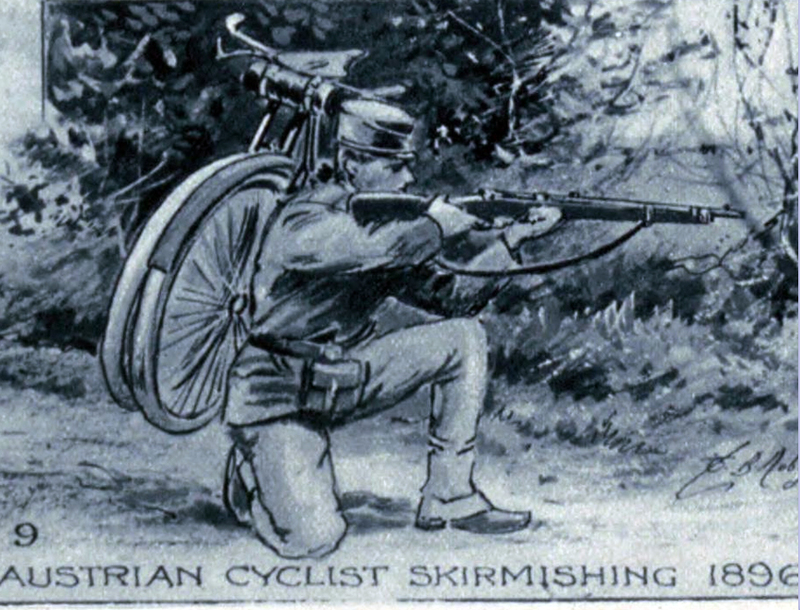 Below: An English military cycle with rifle in position for transport. The whole outfit, including the rifle, weighed about 56lbs. 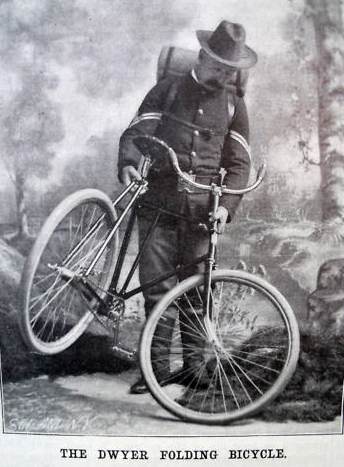 Below: A French military dispatch rider of 1886. 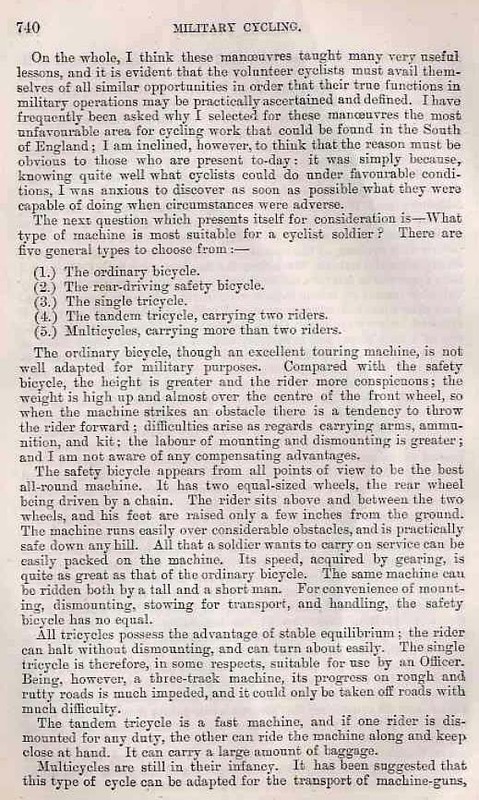 Below: The Austrians in 1896 and the French military authorities in 1898 carried the development of the military cycle a step further by introducing a machine which could be folded and carried on a rider’s back in emergency …the weight of the machine being about 28lbs. 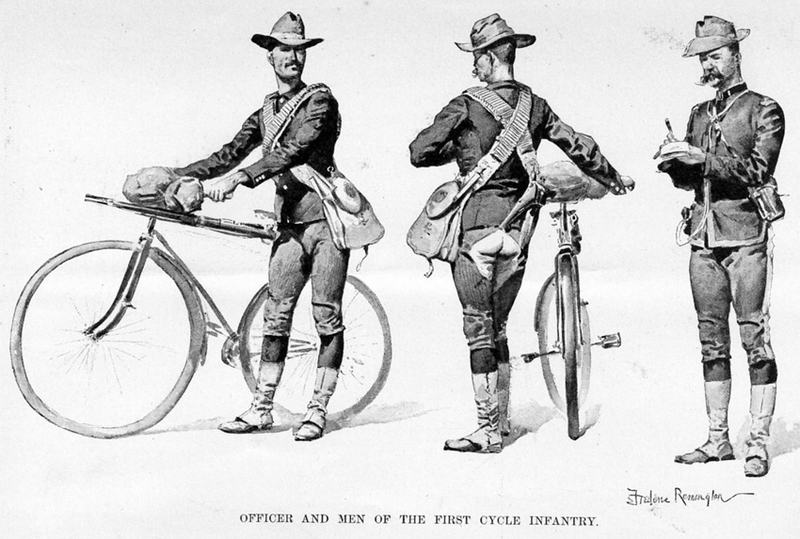 Below: Illustration of Officer and men of the First Cycle Infantry, USA. 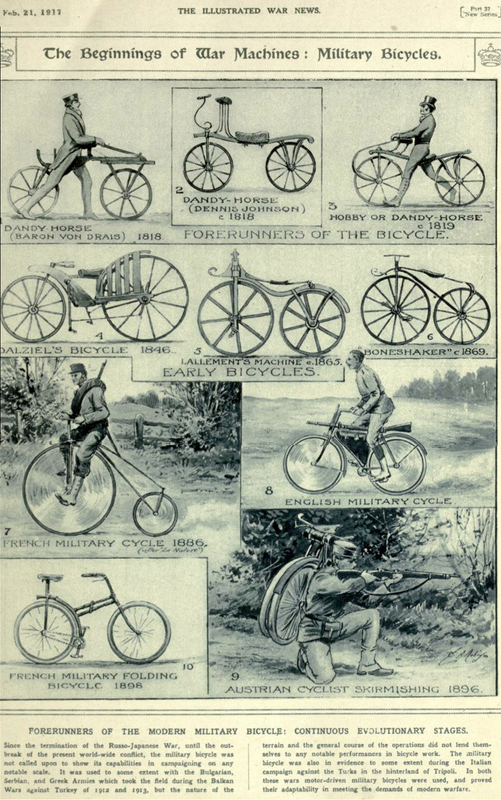 From Harper’s Weekly, May 1895. 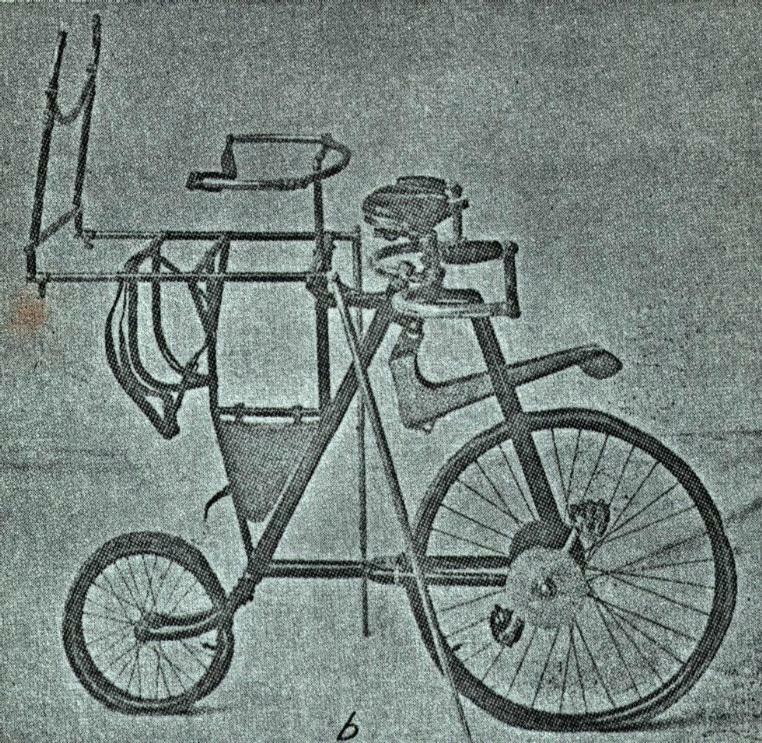 This may have been the first British folding bike. 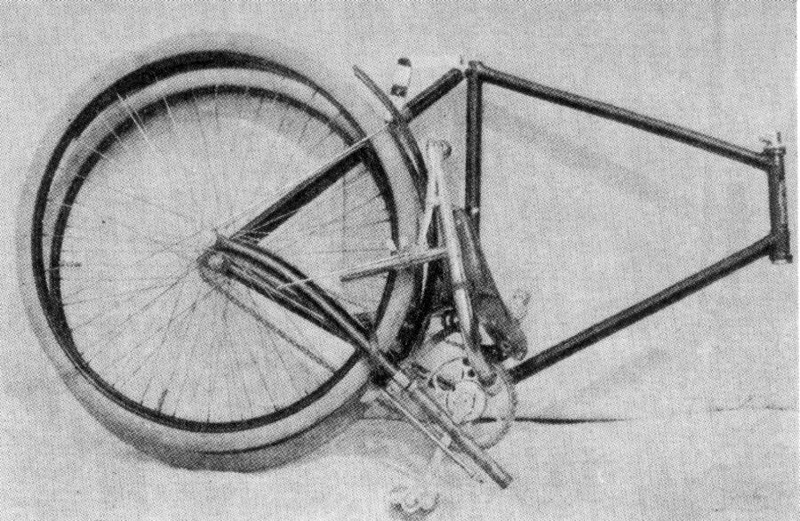 It had a novel arrangement for folding the handlebars. 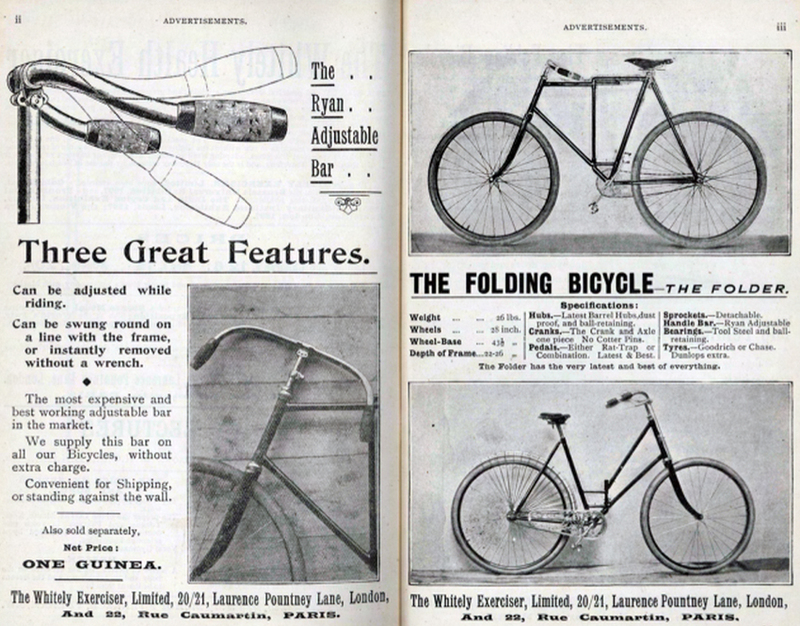 William Crowe patented it in 1899. 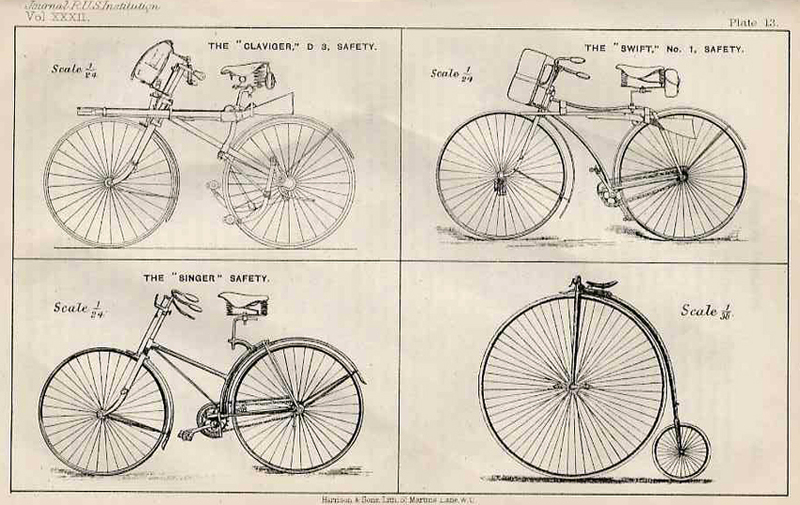 I’ve dealt with the Bianchi on another page. 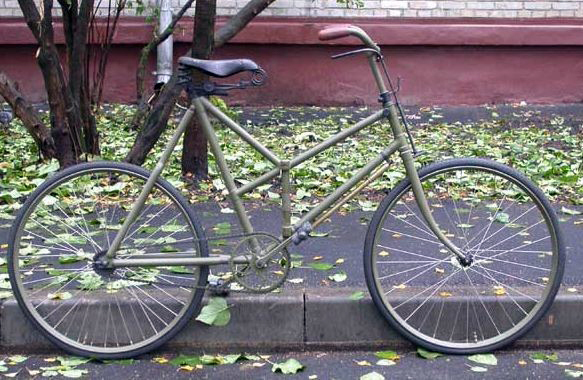 But I found some pictures on the internet of a Russian version of it (three photos below). 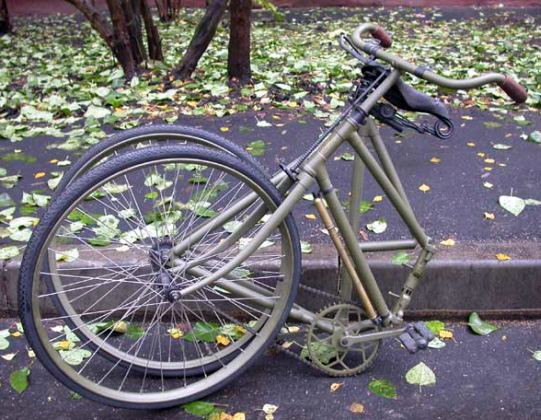 It appears to be a copy of the non-spring frame Bianchi folding bike. 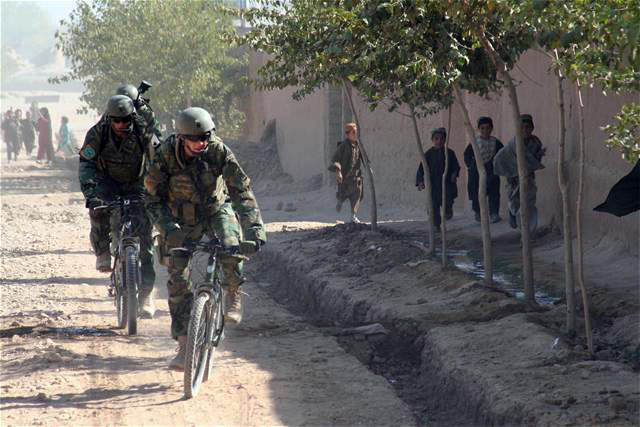 When you’ve finished reading your monthly car, motorcycle and bicycle magazines, please send them to the troops in Afghanistan. 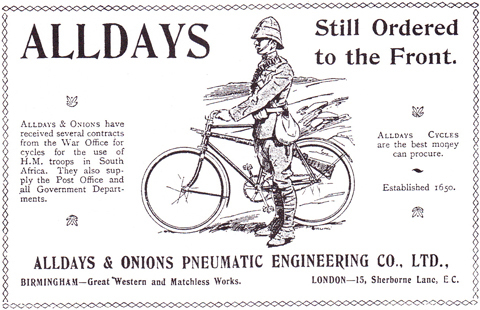 An address for British troops is below. 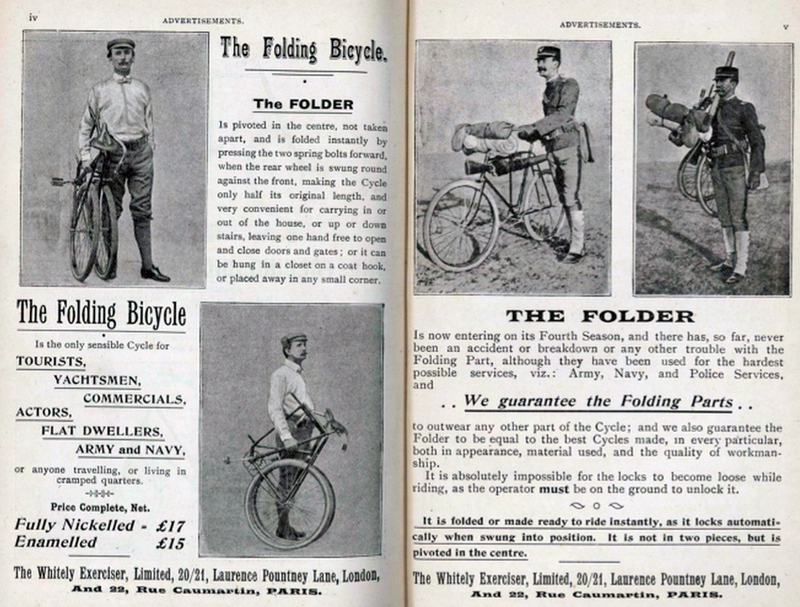 Bike magazines are not delivered as part of the Operational Welfare Package. So Major Andy Lothian, who is running a camp in Helmand, has appealed for some mags for his blokes. 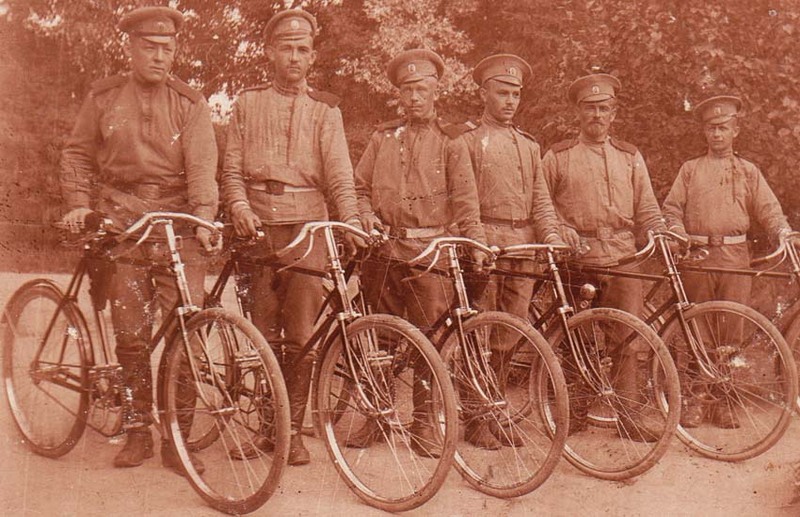 Many are keen motorcyclists, cyclists and enthusiasts for vintage machines. All magazines would be read and appreciated multiple times. 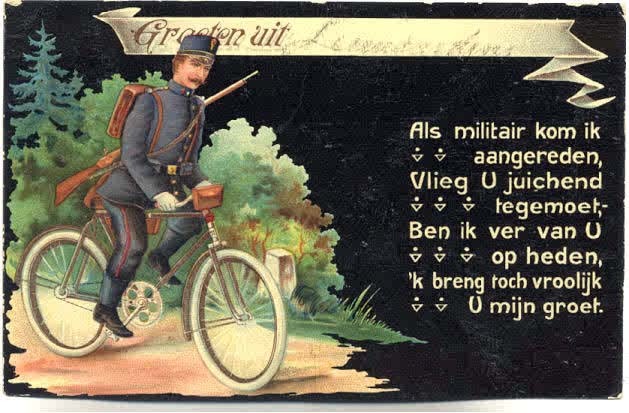 Postage is free up to 2kg (so if you have more, send them in separate envelopes).